Dr. Sheryl Gabram is currently the Surgeon-in-Chief for Grady Health System. From a research perspective, she is the Principal Investigator on the AVON Foundation grant and is the Director of the AVON Comprehensive Breast Center at Grady (AFCBC). She completed medical school at Georgetown University, surgical residency at the Washington Hospital Center, and a fellowship at the University of Connecticut, Hartford Hospital. In 1996, she received her M.B.A. from the University of Connecticut School Of Business. Her current research focuses on decreasing disparities for breast cancer patients. She is the PI on an Avon-funded project, “Clinical Feasibility of the Prospective Surveillance Model for Rehabilitation for Women with Breast Cancer.” She is also the Emory PI on a Georgia statewide genomics grant that involves identifying women at high risk for breast/ovarian cancer with referral to genetic counseling/testing, when appropriate. To date, she has over 90 peer-reviewed journal publications. Dr. Gabram is the recipient of numerous awards and honors. She has been named by the patient resource guide, Castle Connolly, as one of America’s Top Doctors for eleven consecutive years and American’s Top Cancer Doctors for nine consecutive years. 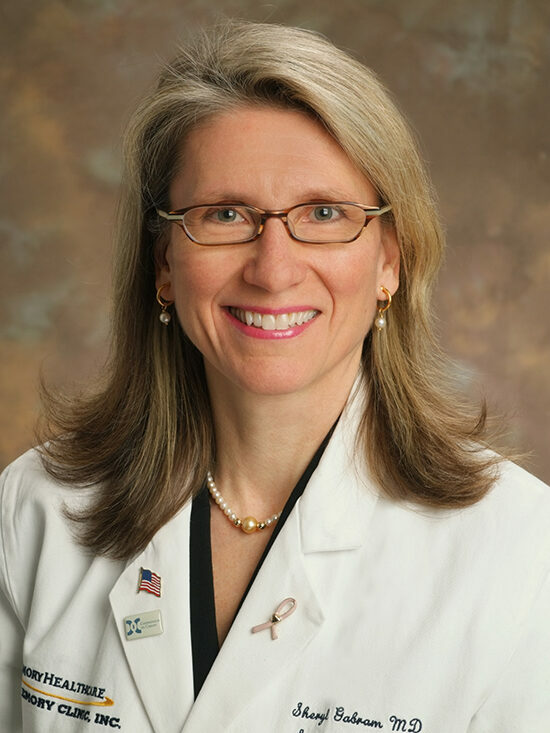 She has received the Arthur G. Michel, MD Award for Excellence in Breast Care from the Y-ME National Breast Cancer Organization, and was selected as one of Atlanta Magazine’s Top Doctors from 2007-2013. In the November 2008 Women’s Health magazine, she was named one of 5 top oncologists for women in the South. She is a member of several prestigious professional societies including a Fellow of the American College of Surgeons, the Society of Surgical Oncology and the American Society of Breast Surgeons.